Every year, there are more than 6 million car accidents that take place all across the country. As a result of these accidents, about 3 million people are injured. Additionally, there are almost 40,000 people killed in car crashes annually. With these startling statistics in mind, you might feel blessed if the only thing you have to worry about is a headache after a car accident. A headache won’t seem like a major cause for concern when you consider the other injuries you could have sustained in the accident. But you should not, under any circumstances, ignore a car accident headache. A headache after a car accident could actually be a sign of a much more serious problem that you’ll need to address right away. Let’s take a closer look at a few of the medical conditions that could potentially be to blame for your painful post-accident headache. When most people hear the word “concussion,” one of the first things that comes to mind is the National Football League. The NFL has been working its way through a concussion problem for years now with lots of former players claiming that concussions affected their long-term health. But it’s important for people to know that regular people can suffer from concussions, too. And often times, those concussions are the result of being involved in car accidents. Your brain is surrounded by what’s called cerebrospinal fluid, or CSF for short, which is designed to prevent your brain from slamming up against the inside of your skull when you’re involved in an accident. But if you’re ever in an especially bad accident, your brain can actually push through the CSF and hit your skull anyway, causing a concussion. The problem with concussions is that they’re not always easy to diagnose right away. You could feel just fine in the immediate aftermath of an accident before developing concussion symptoms later. If you ever suspect that you might have a concussion, you should seek medical attention right away. Concussions can be tricky to treat. But it’s best to have a doctor check you out as soon as possible so that treatment can begin sooner than later. More often than not, people don’t have a whole lot of time to brace themselves right before getting into a car accident. Car accidents are scary in large part because they happen so suddenly and don’t give people time to prepare for them. Because most car accidents happen in the blink of an eye, those who are involved in them often sustain muscle strains in their necks, heads, and even their upper backs. The sudden impact that takes place during a car crash can cause neck, head, and back muscles to strain and, in some cases, even tear. Right after an accident takes place, you might have so much adrenaline coursing through your veins that you don’t even realize you have a muscle strain. But one of the first signs of a strain will hit when you’re forced to deal with a headache that’s tied to it. Muscle strains are actually one of the leading causes of constant headaches after a car accident. Muscle strains are some of the most common car accident injuries. But that doesn’t mean you should just accept them and go on about your business. Speak with your doctor about the best way to go about treating muscle strains and the headaches that go along with them. If you’re ever involved in a very violent car accident–especially a violent car accident that includes someone ploughing into the back of your vehicle–you might be forced to work your way through a condition known as whiplash. Most people have heard the word whiplash used but don’t understand exactly what it is. It’s a serious injury that is caused by a sudden force that’s placed on your head and neck area. The force often strains the muscles and ligaments in your neck and can strain the soft tissue surrounding your neck as well. And in a lot of cases, you’ll also suffer from a terrible headache that’s positioned at the base of your skull. Unlike other car accident headaches, though, the headaches that accompany whiplash don’t always show up right away. There are many instances in which people don’t start suffering from whiplash-related headaches until several days or even several weeks after their crash. The headaches will often be constant, too. It’ll make it difficult for you to move on with your life when you have lingering headaches that just won’t go away. It’s important to report these kinds of headaches to your doctor so that you can be treated for them sooner than later. Also sometimes referred to as occipital neuralgia headaches, pinched nerve headaches are some of the most painful headaches on this list. These headaches occur when the nerves in your spine are compressed during a car crash. Specifically, it’s usually the occipital nerve that sits at the base of your skull that is compressed, which can cause you to suffer from all kinds of severe pain. Those with a pinched nerve in their neck or back area will feel pain, tenderness, and even a tingling sensation at the base of their skull that runs up towards the back of their heads. These things will cause headaches to set in for days and even weeks at a time. A pinched nerve could potentially get worse if it’s not treated. You’ll want to seek out the services of a medical specialist to have your pinched nerve evaluated and cared for properly. If you hit your head on your dashboard, your headrest, or another part of your car during an accident, there is a possibility that you could sustain a skull fracture. But believe it or not, a skull fracture isn’t always the most obvious injury in the world. There are some people who have walked around with small skull fractures for extended periods of time without even realizing they were there. If you have a skull fracture, though, there’s a good chance that you’ll have intense headaches that let you know about it. Those headaches will often keep up for days, weeks, and maybe even months at a time if you don’t visit a doctor for treatment. You should obviously not try to push through a skull fracture without the help of a doctor. You could suffer from all kinds of complications down the line if you don’t get the right treatment for a fracture to your skull. 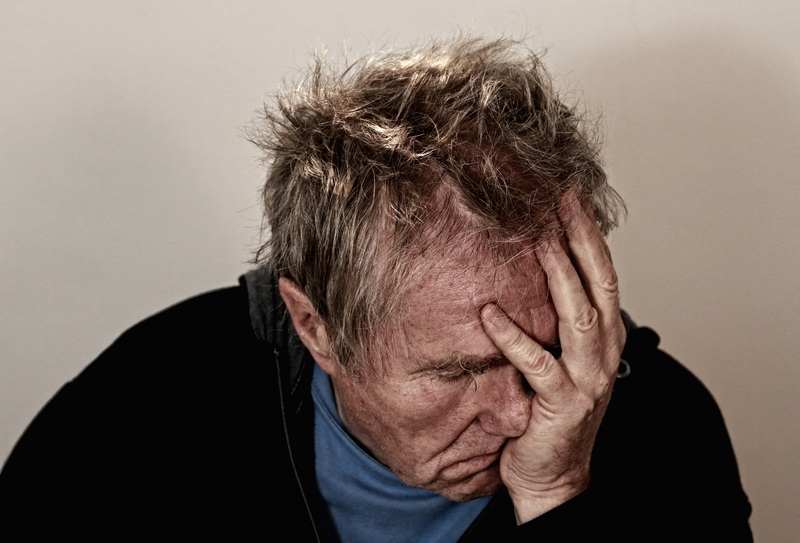 How Can a Lawyer Help With Headaches? As we’ve told you over and over again at this point, one of the first things you should do if you have a headache after a car accident is take yourself to a doctor. They can check you out and let you know if you’re suffering from any of the conditions listed here. But don’t stop there! Once you’ve been evaluated by a medical professional, your next step should be to call a car accident lawyer right away. A lawyer can let you know if you can seek compensation either from your auto insurance company or from a fellow driver in the aftermath of your accident. Depending on which condition is causing your headaches, you could be forced to rack up tens of thousands of dollars worth of medical bills while being treated. You could also end up missing weeks and months of work due to the injuries you sustained in the crash. There’s even a chance you could be forced to go out on extended disability due to your accident. If you face any of these scenarios, it’ll be good to have a lawyer on your side to get you the compensation you deserve for dealing with post-accident concussions and other conditions. Whatever you do, don’t just ignore a headache after a car accident and hope it goes away on its own. That could lead to more problems for you in the future. Instead, get treatment for your headache and then get a lawyer on the phone as quickly as you can. It’ll help you recover from the accident and prevent you from having to negotiate with your auto insurance company on your own. Contact us today for more information on what to do when you have a headache after a car accident. We’ve been recognized as one of the best law firms in the Baton Rouge area by U.S. News & World Report and would love to show you why. Can a Pedestrian be Liable For a Car Accident?